The Victoria and Albert Museum is currently celebrating the 15th century master Sandro Botticelli. Forgotten for more than 300 years, the painter is now honored with the exhibition Botticelli Reimagined. 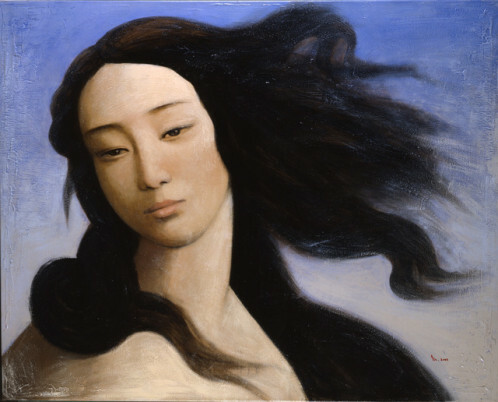 The exhibition gathers 50 original works from the Italian artist displayed next to 150 artworks inspired by Botticelli. His elongated and graceful women bodies set the tons for a woman beauty still recognized 500 years after its creation. The exhibition therefore underlines the contemporaneity of Botticelli’s oeuvre. His iconic Venus is displayed by pieces from Dante Rossetti, William Morris, René Magritte, Elsa Schiaparelli, Andy Warhol and Cindy Sherman’s side. Drawing, photography, fashion, painting, tapestry, the exhibition points out the variety of media Botticelli inspired over the years. Botticelli Reimagined has been organized in collaboration with the Staatliche Museum zu Berlin that holds an impressive number of his works and will host the exhibition from September on.